Basel Tourismus offers a number of guided city tours, ranging from standard historical Old Town walking tours to specialist outings to the modern Roche Tower. There's also a Swiss City Guide Basel app, available for Android and iPhones, with an integrated map and brief audio commentaries. 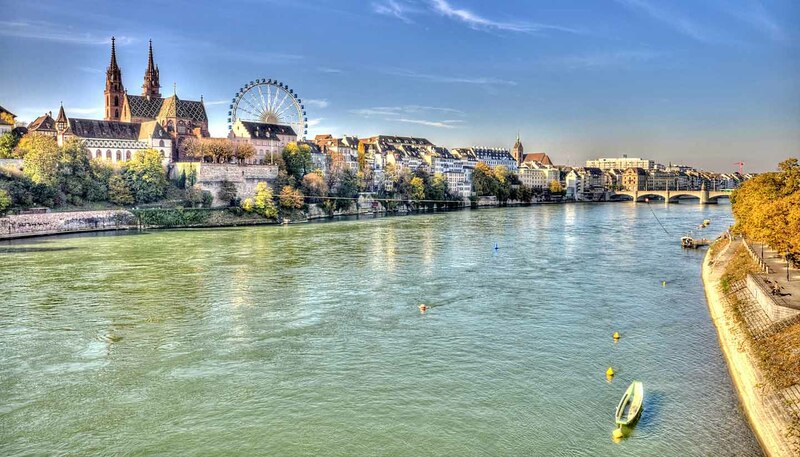 Why not make the most of Basel’s Rhine-side location by taking a city tour on the water? Rhytaxi Basel offers a new perspective on the destination by running boat tours of the Old Town and port with spoken commentary. You can also use the vessels for simply getting from A to B.
Augusta Raurica are the remains of the Rhine's oldest known Roman colony, dating from 44BC, and can be found 12km (7.5 miles) to the east of Basel. Discover more about this once-prosperous provincial settlement at the Roman Museum (Giebenacherstrasse 17, Augst), then explore the excavated classical theatre, temples, taverns and forum. Take the train for the one-hour journey to the pretty lakeside town of Lucerne. Enjoy a ferry trip on Lake Lucerne for stunning views, check out Chapel Bridge – Europe’s oldest surviving medieval wooden road bridge – and enjoy a ride in the world's steepest cogwheel railway up nearby Mount Pilatus, for views from 2,073m (6,801ft) on high.